The women workers’ delegation, including education unionists, welcomes the Agreed Conclusions of the 63rd session of the United Nations Commission on the Status of Women, which includes positive language on education and social protection systems. Educational spaces are specifically mentioned among the list of key sites that require action and attention on sexual harassment. There is a specific mention of early childhood education as “crucial in enabling women to enter and remain in the labour market”. The wide ranging, multi-layered and most pernicious gender-based barriers to the right to education for girls are also highlighted. There is explicit reference to the multiple and intersecting forms of discrimination faced by disabled women and girls, and indigenous women and girls (including in relation to education), especially for those living in rural areas. Governments are urged to “adopt national gender-responsive migration policies and legislation, in line with relevant obligations under international law, to protect the human rights of all migrant women and girls, regardless of migration status, and to recognise their skills and education”. A key gain for women in education is the call on governments to eliminate occupational segregation by addressing “structural barriers, gender stereotypes and negative social norms, promoting women’s equal access to and participation in labour markets and in education and training, supporting women so as to diversify their educational and occupational choices in emerging fields and growing economic sectors, such as science, technology, engineering and mathematics and information and communications technology, recognising the value of sectors that have large numbers of women workers”. A key paragraph in the document calls for investment in public education systems and infrastructure, free and compulsory primary and secondary education and the promotion of lifelong learning opportunities for all. It also stipulates that governments should “address negative social norms and gender stereotypes in education systems, including in curricula and teaching methodologies, that devalue girls’ education and prevent women and girls from having access to, completing and continuing their education”. Another important explicit reference is made to pregnant adolescents and adolescent mothers and single mothers, with a call for governments to adopt policies that would facilitate their successful return to, and completion of, education. 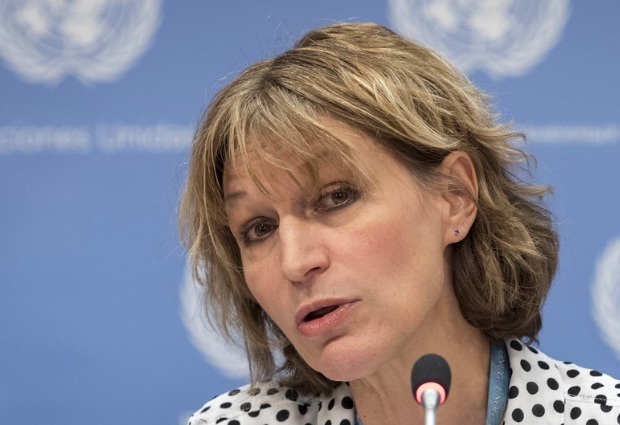 Does the UN advance equality for women? The women unionists’ delegation also successfully lobbied for the inclusion of progressive languageconcerning social protection systems and access to public services and sustainable infrastructure. These included: references to the importance of International Labour Organisation (ILO) standards and the decent work agenda; measures to strengthen protections for informal economy workers and promote their formalisation; ensuring that unpaid care work is valued in contributory schemes; guaranteeing access to paid maternity, paternity and parental leave; promoting shared responsibility of care between parents; and acknowledgement that universal access to social protection plays a central role in reducing inequality, as well as emphasis on the need to make progress towards universal health care. Governments, for the first time, recognised the right to social security—including universal access to social protection—and that women’s access to social protection is often restricted when tied to formal employment. The Agreed Conclusions acknowledge that budget cuts and austerity measures undermine women’s access to social protection, public services, and sustainable infrastructure, particularly in the areas of health and education. They also recognise the link between gender-responsive social protection and the prevention of gender-based violence. And, crucially, committed to providing public sector workers with living wages. The women workers’ delegation, including the EI delegation, will, however, still have to continue efforts for specific reference to, and inclusion of, LGBTIQ+ women and girls in the UNCSW outcome document in 2020. Despite significant gains, challenges remain to realise the full human rights of women, in all their diversity, as the press release from the women’s rights caucus at UNCSW stressed. Of significant concern was the removal of service provisions for survivors of violence—a development that is out of step with the growing awareness and action to reduce and eliminate the prevalence and consequences of gender-based violence against women. Member States also failed to commit to integrating sexual orientation, gender identity, and expression into the design of social protection, public services, and infrastructure systems. The Agreed Conclusions also demonstrated the unwillingness of governments to regulate and hold the private sector accountable for its responsibility to uphold women’s human rights. 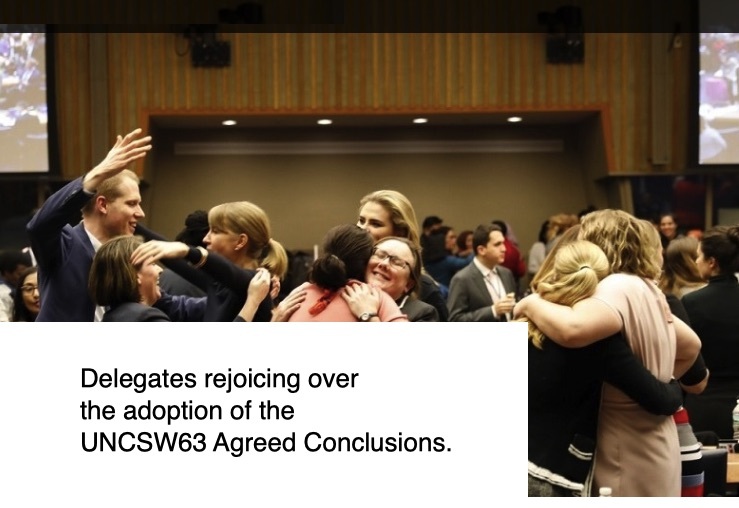 At this crucial moment, UNCSW must continue to involve the vital voices of civil society in their deliberations and strengthen the potential of these negotiations to continue the practice of consensus-based advancement of women’s human rights. 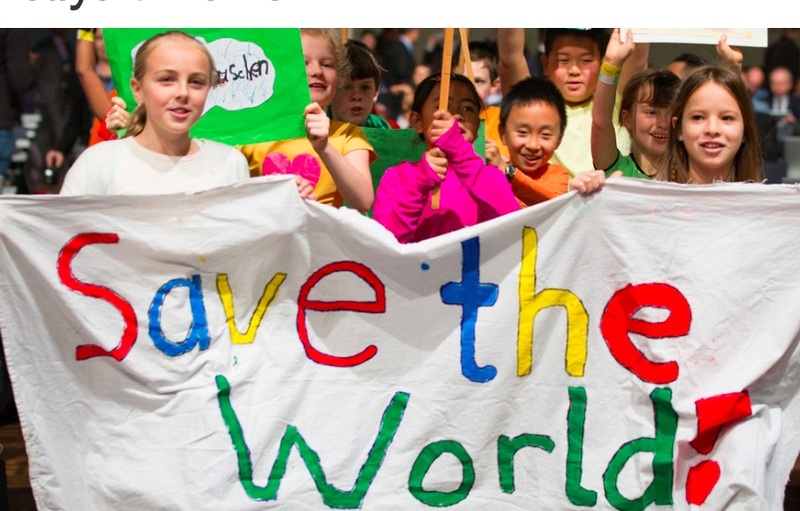 A critical occurrence at the end of the first week of UNCSW63 was the thousands, if not millions, of young people across the world who took to the street to march and rally for climate justice, including outside the United Nations Headquarters in New York. The labour delegation at UNCSW63 marched in solidarity with the students.
. FREE FLOW OF INFORMATION . . Independent UN rights experts on Thursday [April 11] said the arrest of Wikileaks co-founder Julian Assange by police in the United Kingdom, after the Ecuadorian Government decided to stop granting him asylum in their London embassy, exposed him to “the risk of serious human rights violations”, if extradited to the United States. Julian Assange, Is he a hero for the culture of peace? Free flow of information, How is it important for a culture of peace? The United Nations came into being at the end of the devastating World War II as a forum for resolving conflicts peacefully between nations and for promoting sustainable peace and development in all parts of the world. Over the years, the UN has discussed many ways and means to reach its broader objectives of peace, human rights and sustainable development. For that, its Member States have agreed on some consensus frameworks and instruments to promote human rights and sustainable peace. One such remarkable instrument is UN General Assembly’s decision on the concept of “Culture of Peace” taken in 1999. Year 2019 will observe the 20th anniversary of that landmark decision. Since wars begin in the minds of men, it is in the minds of men that the defenses of peace must be constructed. These famous words were codified in UNESCO’s constitution and defined the mandate that peace not only is the absence of armed conflict or war. After nine-months long intense negotiations among all UN Member States, on 13 September 1999, the General Assembly adopted, by consensus and without reservation, the seminal resolution 53/243 on the ‘Declaration and Programme of Action on a Culture of Peace’ [that had been drafted and submitted by UNESCO – editor’s note]. What is the United Nations doing for a culture of peace? The Declaration and Programme of Action on a Culture of Peace tried to provide a pathway following which international community could develop a mindset and modes of behaviour that will not allow conflict, violence and hatred to undermine the overarching goals of sustainable peace. Developing a culture of peace requires a positive, dynamic participatory process where dialogue is encouraged among various stakeholders, to find out root causes of conflicts and through mediation and moderation as well as in a spirit of mutual understanding and cooperation, solve those conflicts to advance peace. An essential foundation of the culture of peace is inclusivity, equality and solidarity of all peoples, races, religions, class, and importantly, gender. Gender inequality, conflict and fragility are key challenges to sustainable peace. Peace is inextricably linked to equality between women and men. Women’s equality and empowerment is, therefore, critical to advancing the culture of peace. This very idea resonates both in General Assembly and the Security Council. In 2000, the important role of women in peace and security was emphasized in the Council’s Resolution 1325 on Women Peace and Security (UNSCR 1325) which asked for full and equal involvement of women at all levels for the maintenance and promotion of peace and security. Today, despite the consensus agreement by the international community, women still face many challenges and inequalities that prevent their representation and participation in all stages of life. Women bring a new breadth, quality and balance of vision to our common efforts to move away from the cult of war and towards the culture of peace. Increasing gender equality has positive effects on food security, extremism, health, education and numerous other key global concerns. Women’s equality makes our planet safe and secure. Empowering women and girls and strengthening gender equality prepare the foundation of inclusive societies, sustainable peace and development. Greater involvement of women in decision making be it in conflict or peace time will bring different perspectives and priorities than men thereby changing the nature of the dialogue, an essential element in advancing the culture of peace. 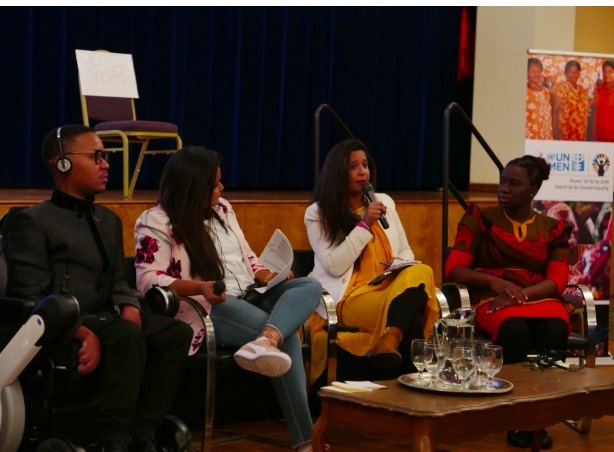 Building on the successes and lessons learnt from the Youth Forums of CSW60 and CSW61, the Youth Dialogue at CSW62 held on 17 March 2018 provided a space for cross-regional networking among young people engaged in various areas of gender and social justice. Following the theme of the Commission of the Status of Women, the Youth Dialogue at CSW62 provided a stage for young women, girls, trans, intersex and gender non-conforming youth from rural areas to raise their voices, address the challenges and opportunities in achieving gende equality and empowering their peers. The opening of the Youth Dialogue was attended by Executive Director of UN Women Ms. Phumzile Mlambo-Ngcuka and moderated by the Secretary-General’s Envoy on Youth Ms. Jayathma Wickramanayake. Youth initiatives for a culture of peace, How can we ensure they get the attention and funding they deserve? The Youth Envoy framed the conversation by emphasizing that “We are the largest generation of young people that the world has ever seen. We are 1.8 billion strong and if we are to see transformational change, then it is our generation, that can make that change happen.” By sharing their personal stories, the panel of youth activist gave concrete examples of creative ways to open doors and thereby highlighted how young people mobilize to make change in their communities every day. More than 300 young people participated in the Youth Dialogue, which provided a space to exchange ideas on how young woman and girls from rural areas can be increasingly involved in addressing issues that directly affect them such as climate change, health, land rights and environment, education, gender-based violence, child marriage, economic justice, and media and technology. With the principle of leaving no one behind as an overarching theme for the conversation, the Youth Dialogue also included young people from various marginalized and vulnerable groups, such as persons with disabilities, indigenous communities and communities in conflict and post-conflict settings. Based on a series of online youth consultations and break-out sessions during the Dialogue, a set of recommendations to policy makers were developed on how to better include the voices of young women and girls from rural areas in the implementation of the Sustainable Development Goals. 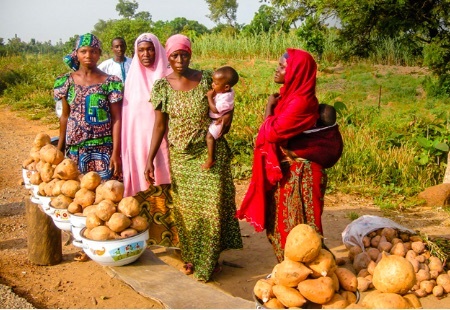 Among these were specific recommendations to provide accessible education to enhance skills development for young girls in rural areas; strengthen laws to prevent and respond to all forms of gender-based violence; implement progressive legislation that addresses the gender pay gap; improving connectivity in rural areas to bridge the existing digital gap; and investing in quality and inclusive youth-friendly healthcare, including mental health and sexual and reproductive health and rights services in rural areas. The First International Symposium on Youth Participation in Peace Processes concluded on Wednesday in Helsinki, Finland, with a global policy paper, according to reports, that aims to integrate their efforts, interventions and contributions towards sustaining the search for peaceful solutions to conflict. 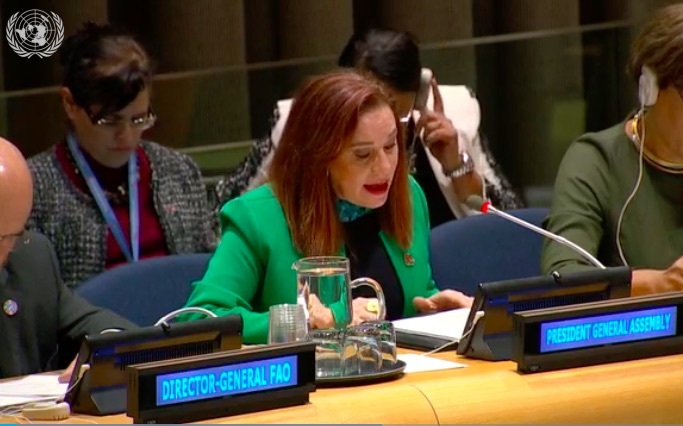 In her keynote address, General Assembly President Maria Fernanda Espinosa highlighted Youth, Peace and Security as one of her seven priorities. She called young people “agents of change” and outlined examples in which they have helped foster inter-communal dialogue, such as in Kenya, and consolidate peace, such as in Sierra Leone, Liberia and other countries. Ms. Espinosa also addressed the importance of gender equality, decent work and the support for young migrants and refugees. The General Assembly President concluded by underscoring that the world must improve youth participation in national and international decision-making and encouraged Member States to embrace young people in their delegations and to work closely with the Office of the Secretary-General’s Youth Envoy, Jayathma Wickramanayake. With over half of the world’s population under-30 and an estimated 600 million youth living in fragile and conflict-affected States, it is apparent that young people must engage in conflict prevention and mediation processes – a domain where they are often marginalized. “Young people account for a considerable share of people living in the developing world and in conflict areas but they are often left outside of the scope of all decision-making in society, including peace processes”, said Timo Soini, Foreign Minister for Finland, one of the governments co-hosting the event. For her part, the Youth Envoy called the Symposium “the global clarion call for a collective response in bringing voice and credibility to young people on the frontlines actively leading efforts to shape peace processes”. Considering their sheer numbers and vital force, young people are key participants in development, democracy, peace-sustaining initiatives and peacebuilding interventions. 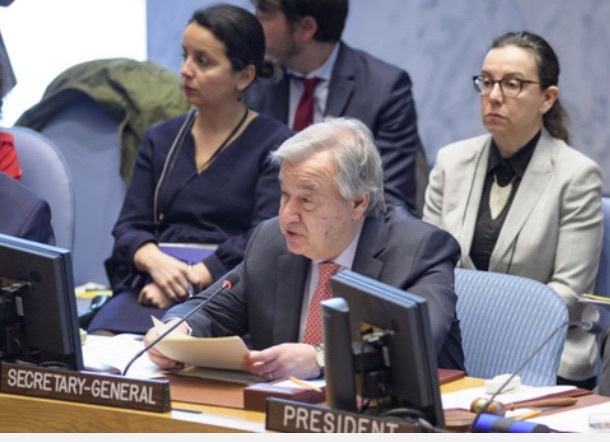 As such, they must be empowered as decision makers to actively and meaningfully contribute to peace processes that affect their lives, according to the UN Envoy’s office. “Young people are bridges”, said youth participant Leonardo Parraga. “They play a key role in connecting local actors like civil society organizations, with decision-making actors that have a seat inside the room”. 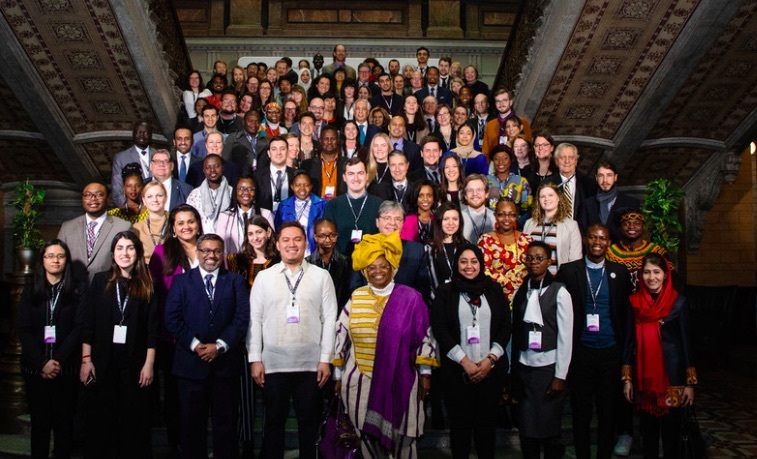 At the two-day Symposium ending on Wednesday, inter-generational participants exchanged views and best practices on involving young people in both formal and informal peace processes. Youth attendees, moderated, facilitated and acted as rapporteurs throughout all plenary discussions and working groups. Noting “progress in advancing the Youth, Peace and Security agenda” Ms. Wickramanayake asserted: “We cannot stop now”. The event was co-hosted by the Governments of Finland, Qatar, and Colombia, and co-organized by the office of the UN’s Youth Envoy and Search For Common Ground in partnership with the UN Department of Political and Peacebuilding Affairs, UN Population Fund, UN Development Programme and the United Network of Young Peacebuilders. It is important to make “global commitments local realities,” José Graziano da Silva, Director-General of the Food and Agriculture Organization (FAO), told the meeting and UN Headquarters, discussing common challenges to the Sustainable Development Goals (SDGs), such as climate change and food security. 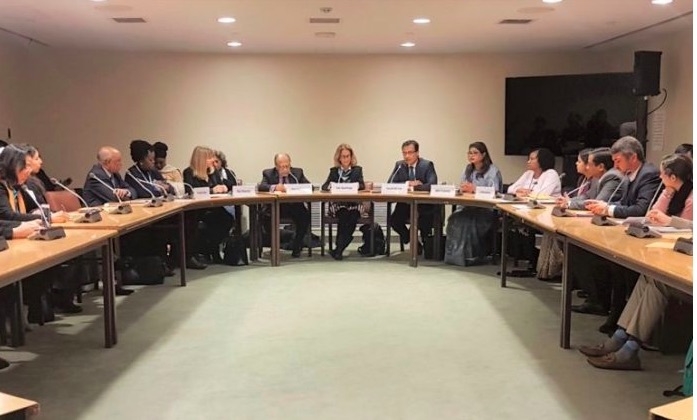 The special event, From Global Issues to Local Priorities was co-hosted by María Fernanda Espinosa Garcés, President of the UN General Assembly, alongside Mr. Graziano da Silva. About 68 per cent of the world’s population is expected to live in urban areas by 2050 – mostly in Africa and Southeast Asia, where hunger and poverty are highest. He said that it is essential to engage local authorities to achieve SDG 11 –promoting sustainable cities and communities – fundamental for achieving all the other goals. The culture of peace at a regional level, Does it have advantages compared to a city level? City dwellers can no longer be considered food consumers and rural communities food producers. 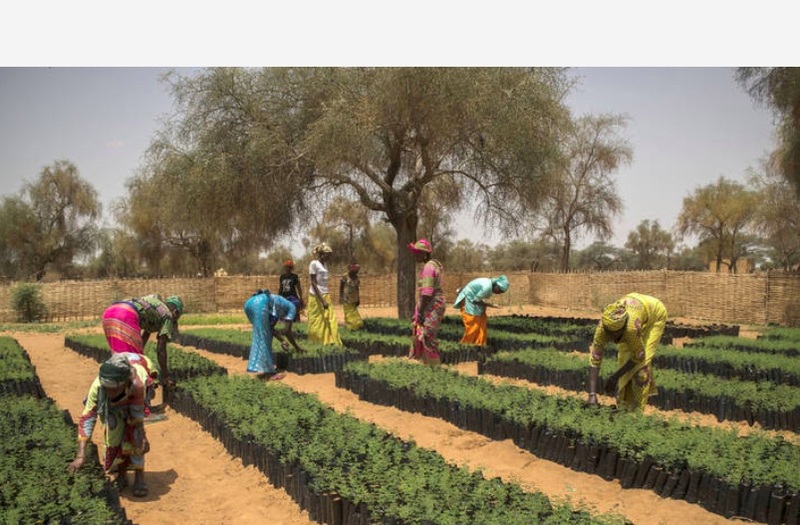 Turning to the New Urban Agenda, which was adopted at Habitat III in 2016 during the Quito Conference, Mr. Graziano da Silva said the FAO Framework for the Urban Food Agenda would be launched in Rome on 7 March. Sustainable development requires “a systems thinking, rather than granular responses,” he argued, adding that the Framework presents ideas to generate employment, strengthen local food value chains and reduce the high levels of food waste found in many cities. Also speaking at the meeting was UN Habitat Executive Director Maimunah Mohd Sharif, who delivered her remarks through video message. A host of mayors, former mayors, economists and urban development experts shared experiences of effective local practices, innovative strategies and lessons learned in addressing global challenges including climate change, food insecurity and malnutrition, food supply and consumption sustainability, and people’s wellbeing from a sustainable and resilient food system perspective.